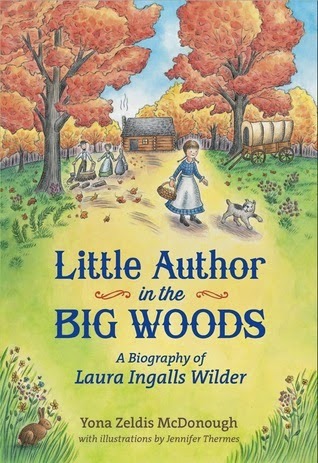 Did you curl up with little Laura Ingalls as a kid? Do you eagerly share Little House on the Prairie titles with your children and students? Do you know anyone (including you) who is fascinated by Laura or her sisters? Source: Advance copy from publisher in exchange for my honest thoughts. I'm not usually excited about biographies. While I am always interested in learning more about fascinating characters in history, I tend to not be able to sit through an entire chapter book dedicated to the life of one individual. This one read more like a story, though. Laura Rocks: The best thing about reading this book was finding out how amazing Laura herself truly was. I loved hearing how she decided to NOT include "obey" in her marriage vows. Her belief that homesteaders worked together and were truly equal made me smile. This author was just as independent, caring, and prone to getting into mischief as the Little House books made me believe. Illustrations: The simple line drawings that are scattered throughout the book kept the old-time feeling alive. It made me want to pull my old books out (or find them at the library) and see how they compare to the novel illustrations. -- recipes for gingerbread, Johnny cakes, and homemade butter. While this wasn't exactly a picture book - it certainly included pictures! 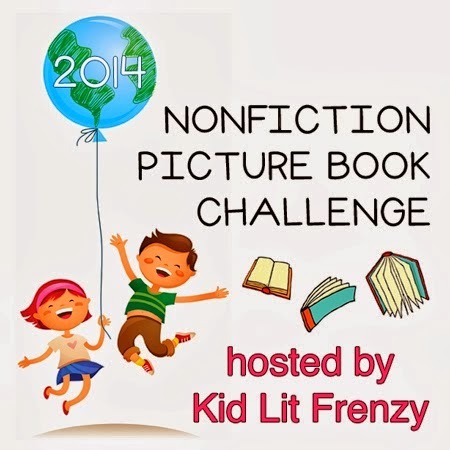 So I'm going to link up to the weekly Non Fiction Picture Book Challenge hosted by KidLitFrenzy. Be sure to visit that blog every Wednesday for wonderful nonfiction titles!